The body of German National, Raymond Adam Adalbert Koessler was discovered this morning at around 6:30a.m. by a building contractor as he arrived at this worksite on Monday, November 6, 2017, in San Pedro, Ambergris Caye, Belize. Raymond (52yrs) suffered a large cut wound to the head. His neighbors and landlord report seeing him last the night before at about 10p.m. on November 5. His body was discovered a block away from his residence at the corner of Pearl Street and Coco Plum Street inside the first floor of a two-story building still under construction. According to police, Raymond had been a resident of Ambergris Caye for five years and been living in the San Pablo Area for some time. Information from the San Pedro Police is not forthcoming with no leads on any suspects, cause of death or post mortem report. Speculations of his death are that he was assaulted late last night and died due to trauma to the head. As a token of appreciation because of the excellent relationship between Mexico and Belize, President Enrique Peña-Nieto donated a full-size replica of an Olmec Head to the people of Belize. The donation took place during his visit to Belize during his participation in the IV CARICOM Mexico Summit that took place two weeks ago. The Head that weighs in at 9 tons, was installed at the inner circle of the North Ring Road Roundabout in Belmopan facing the Embassy of Mexico. The helmet includes a band with four elements that have been interpreted as feline claws or bird claws. Apparently, it was part of a sculptural set inside a sunken courtyard in the site of San Lorenzo. Thirteen farmers in southern Belize made history as they pruned their first plots of Inga edulis last week. The farmers are using a new farming practice called Inga alley cropping, in which Inga trees, locally known as bri-bri, are grown in rows alongside annual crops to control weeds, improve soil health and reduce the use of herbicides. Ya’axché Conservation Trust is promoting this new farming technique to address the many challenges faced by farmers in southern Belize. Inga alley cropping stems from 20 years of research by Mike Hands at the Inga Foundation in Honduras where this farming system was developed. Over the past four years, Ya’axché has facilitated exchange visits for farmers from Toledo to see the farming system firsthand. Ya’axché has provided training workshops, Inga seeds and young plants to 17 farmers who are pioneering the establishment of Inga alley cropping in southern Belize. Presented by: Mr. Jorge Gentle, Business Adviser, SBDCBelize, Beltraide. Location: BTEC Building, ITVET Campus, Belize City. Workshop Date: November 09, 2017. Time: 9am to 12 noon. The workshop aims is to equip participants with knowledge, skills and capabilities necessary to start a business on the right foot, taking the necessary steps to formalization as well introducing them to steps and activities to finalizing their business idea. The Specific objectives of the training are to enable participants to: Better understand the skills of an entrepreneur, importance of a business plan, and acquire all legal information on how to formalize a business in Belize. The Ambassador of Brazil to Belize H.E. Luciano Helmold Macieira presented his Letters of Credence on Friday, November 3, 2017 to the Governor General of Belize H.E. Sir Colville Young at the Belize House in Belmopan. In his remarks to the Governor General, Ambassador Macieira said that he hopes his contribution will further enhance the bilateral relationship between Brazil and Belize. He added that Brazil considers it a “priority to keep an operative and dynamic embassy in Belmopan, so that Brazil and Belize can more closely work together in the building of a peaceful, developed and cooperative world”. The Ambassador was accompanied by his wife and H.E. Said Guerra of Belize’s Ministry of Foreign Affairs. The Governor General graciously received the Ambassador’s Letters of Credence and welcomed him and his wife to Belize. With the requirement of our new vehicles Eastern Devision communities will be seeing improve response of the Police when called upon and also to better serve our community in a timely and efficient manner. On the Benque Road, near the border, a body was found. The murder victim has been identified as 18 year old Oscar Obando. Reports are that the body had a gunshot wound to the chest. Another great visit by Sacred Heart College from San Ignacio. Students are interested, involved, thoughtful and enthusiastic. They had tons of hands-on activities about bromeliads and herbariums in particular; learning how to attach epiphytes for growing, learning how to collect, dry and even mount the dry specimens. And notice that they all enjoying their day at our garden. Love this group! Location: Southern Belize. 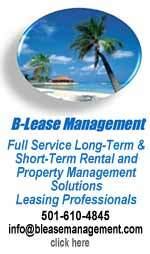 Join a growing company in Belize. ​The General Manager will function as the primary strategic business leader for the hotel, and will oversee all aspects of the operation, with an emphasis on the financial side of the business. Salary commensurate with experience. Full benefits package, flexible work arrangement, Friends and Family discounts within the portfolio, and more. Yvette Sanker Riverol and the Oceana Wavemakers partnered once again with my family and I this Saturday, to clean our Corozal Bay. An initiative that started with one person has grown to approximately 25 volunteers. This proves that each one of us can make a difference in our community. Our clean up campaign resulted in recovering 15 tyres and approximately 21 bags of broken bottles, whole bottles, plastic pipes, metal and other assorted trash. 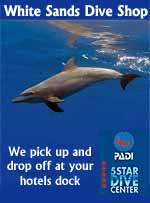 Thanks to Paul, a tourist from London, who saw what we were doing and jumped right into the sea to help. Thanks to all those that passed by and stopped to give us words of encouragement and hope. This really meant a lot. Thank you Ms Yvette and the CJC Eagles. You continue to be an amazing group of wonderful and hardworking people. Including Boston, Rockstone Pond, Lucky Strike, Santana, Chicago, Corozalito, Maskall and Bomba. BEL to replace poles carrying high voltage power lines. The SISE House of Culture is having their 7th annual Cayo Art Festival on Saturday, December 9th. They're doing a call for art, so if you're a local artist, let them know, and get ready for another fun Art Fest. 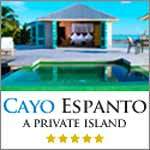 The fun will take place at the Cayo Welcome Center. Last week Friday, November 3, the U.S. Marines Civil Affairs Team, the Belize Defence Force continued to assist the Ministry of Education, Youth, Sports and Culture to distribute a total of 36 desk to Belize Rural Primary School at three different campuses; Flowers Bank, Double Head Cabbage, and Bermudian Landing. A huge thank you to Midwest Mission Distribution Center - Chatham IL for the donation of the school desks. For each show we will be a farmer. These are two of the eight farmers we are working with to implement mitigation measures. We will be on Ak Kutan Radio (96.1FM) on Tuesday, 7th of November from 3-4pm and on Sunshine Raydio Raydio (100.1FM) on Thursday, 9th of November from 7-8pm. Tune in, help us keep cows and save jaguars! A brief inaugural ceremony was held at the Departure Lounge of the Philip Goldson International Airport on Friday, November 3rd to commemorate WestJet’s new non-stop weekly service between Calgary, Canada and Belize. According to WestJet the service is part of the airline's seasonal schedule for the winter of 2017-18. The ceremony was attended by representatives of the Belize Hotel Association, senior staff of the Belize Airport Concession Company (BACC), the Canadian Consulate to Belize and the Belize Tourism Board among others. Short addresses were delivered by Mr. Lynn Young, Honorary Consul of Canada to Belize and the Hon. Manuel Heredia, Minister of Tourism & Civil Aviation. In his address, Hon. Manuel Heredia said, “The importance of the Canadian market for Belize can certainly not be overstated in terms of the overall economic impact it has on Belize’s Tourism Industry. With this newly acquired fleece of vehicles , officers will be able to cover a wider area and have a better response time to the needs of residents. The Belize Police Department continues to bridge the gap between all communities. Together we can make Belize a safer place for all! Congratulations, UB Black Jaguars! The male team took 1st place, and the female team took 2nd place at the ATLIB Volleyball Finals. "Male Black Jaguars are the ATLIB Volleyball Champions 2017. The Lady Black Jaguars are the ATLIB Sub Champions. The ATLIB Volleyball Nationals was held October 28th 2017. The University of Belize won the male competition and the females came in second. The Black Jaguars won their opening match against the home court favorite Saint John's Junior College easily by the score 25-21 and 25-17. Next they defeated Centro Escolar Mexico Junior College 23-25, 25-13 and 15-8. This game had to be decided in 3 sets as the Black Jaguars' rookies were unable to win the first set. Turning now to Belize City, a 20 year old mentally challenged young man was killed - the casualty of a gang rivalry. The combatants in this case are neighboring groups who live around the corner from each other - and this blameless young man got caught in the middle. Here's the story:... Jules Vasquez reporting: 20 year old Deidron McKoy was killed here inside his family yard on Haynes Street on Friday night. A gunman barged in and fired seven to eight shots. He had been socializing here with his family and friends after a day at work: He was on his way out when the gunman pounced: Voice of: Natasha Smith, Deidron's Sister: "When he already finished with us he was coming out. He didn't reach out the gate. The gunman came inside the gate and approached my brother, gave him the first shot. When he gave him the first shot, my brother ran and after that I heard bang, bang, bang! And we go now to the third murder story for tonight - which was reported this morning in Benque Viejo Town. The victim is an 18 year old who was found dead on a farm between the Guatemala and Belize borders. Police told us that the teenaged Oscar Obando had been fatally shot in the chest:... ASP Alejandro Cowo - OC, CIB: "Police visited a location this morning where they observed a male person with apparent gunshot wound to his chest. The person identity confirmed to be that of Oscar Obando, an 18 year old student of Old Bank Street, Benque Viejo Del Carmen. The area where the incident took place is between the Guatemala and Belize border. It's an isolated area. It's between Miles 25 and 26 on the Benque Road. So I cannot tell if the motive is robbery, but we found the person's belongings with him, so we are trying to see what else we can get from the scene and from the relatives as to what happened out there." And turning now to the fourth murder - which is in San Pedro - a German man who has been living in Belize for 5 year was found in a building under construction with an abrasion to his head. Police believe he had been struck on the head. They say 52 year old Raimund Adalbert Kobler had last been seen last night at his home, a block away from the murder scene: ASP Alejandro Cowo - OC, CIB: "Some time after 7A.M. this morning, police from San Pedro visited the corner of Pearl Street and Coco Plum Street, it is a 2 - story building that is under construction where on the first floor they found the body of male person with a large cut wound to the head. The person was identified as Raimund Adalbert Kobler, a 52 year old German national. The information we received so far was the ast time he was seen alive was some time after 10P.M. by the land lord. He was talking to him, he was sitting on the house verandah when the landlord went inside and that was the last time that they saw him. Where he was found is just a block away from where his room is." And as we told you earlier, there was robbery of another Indian-owned business operation, which happened this morning. Fortunately, no one was hurt, but the thief got away with over 10,000 dollars in cash. At around 9:26 a.m., 28 year-old Doris Montejo, a frontline Associate at the Western Union Office in Corozal Town, arrived at her office at 4th Avenue. That's along the busy business strip in Corozal Town, and, she was only a few steps away from entering the front door. She was carrying her purse which contained $10,000 in cash which belongs to her work, $100 in cash which belongs to her, and her Samsung Galaxy cellular phone. Two elderly male tourists drowned in separate incidents in the Stann Creek District this weekend. Foul play is not suspected in either case. The first body of 67 year old Paul Panarese was discovered early on Saturday morning on the beach at the Northside of Hopkins Village. Police say he had last been seen on Friday night. They also discussed the second case, 68 year old ROBERT LOTZ who was found on Saturday afternoon on the beach outside Placencia. Here's ASP Cowo with the details: ASP Alejandro Cowo - OC, CIB: "There were 2 drownings over the weekend and a male person by the name of Mr. Paul Panarese, he was found floating at the beach side in Hopkins Village. He was socializing with a group of male persons when he decided to take a walk by the beach and that was the last time he was seen alive. The body was found the following day at the beach side. We have to wait for the postmortem. The body was checked and there were no signs of foul play up to now, but we need to determine what the postmortem will be saying. There are no injuries on the body." On Friday's news, we showed you that serious accident on the Philip Goldson Highway which left 2 people trapped in the cabin of a smashed up pickup truck. Well, police say that the driver of the other vehicle was at fault, and he didn't have a driver's license. He's 36 year-old Con Murphy, an Irish National, and he was arraigned today before Magistrate Stephanie Gillett. The Magistrate read him the charges of driving a motor vehicle without due care and attention, driving a motor vehicle without a valid driver's licenses. Police say that they also charged him with the other offense of failing to provide a specimen for testing, but that charge wasn't read to him at his arraignment. An eight year old boy who was knocked down on Saturday afternoon in Belize City is back at home tonight doing just fine - all things considered. Byron Alvarez's mother tells us that her son has a swelling on his head but no broken bones and is fine otherwise. She says he was knocked down while crossing the street after coming out of a store around 4:00 on Saturday evening. She says the driver of the vehicle which knocked him down is working with the family. When police launched Operation ACT 10 days ago, Minister of State Elodio Aragon announced that his ministry would be securing 15 vehicles to help with the operation. He delivered on that promise today with a ceremony at the Queen Street police station, and 7News was there:... Jules Vasquez reporting: We can't say that they made a joyful noise, but that shrill chorus of sirens is the sound of the police celebrating: ACP Dezerie Magadaleno, OC - Eastern Div. - Regional Commander: "It is a very happy day and exciting day for us whenever we are able to received equipment that will assist us in enhancing our daily work and our operational strategies. It is a blessing for us and we are truly grateful for this day." How Will Police Enforce New Marijuana Law? And as these units go out with their new rides - one of the offenses that they'll be looking at in a new way is marijuana possession. As of Thursday, it's no longer illegal to for an adult to possess or smoke 10 grammes or less of weed. But, possession of more than 10 grammes, or ten grammes or less in a school is still a crime. It leaves police in a grey area - where previously it was all just black and white. And, it seems there's quite a learning curve - and that curve hasn't reached Belize City yet, where most of the possession charges originate. Today the Southside Commander said he hadn't gotten the memo - and the man in charge of training the police hadn't reached the city yet:... Sr. Supt, Marco Vidal, Commander - Southside: "I am not that familiar in terms of the entire way of this act. This act will be enacted. We are still in a process of education for all police officers so that when we are encountering these situations we know how to deal with them, but for the time being we will be seeking advice in terms of how to deal with these matters as we encounter them." 36 year-old Belmopan resident George Hyde was acquitted today in the Belmopan Supreme Court for the murder of 69 year-old Canadian Keith Haslam. 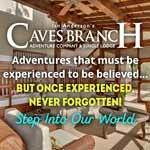 You may remember the story from December 2013, when Haslam was savagely beaten and chopped to death in the Village of Buena Vista, CAYO. Hyde was charged with murder, and he stood trial before Justice Antoinette Moore. The Crown, represented by Senior Crown Counsel Cecil Ramirez, relied on a caution statement and 2 oral confessions that Hyde allegedly made. But none of the statements were admitted into evidence after a trial within this trial revealed that Hyde was promised that if he gave the statement, his girlfriend would not be charged. You may remember the "Panama Papers" from early 2016 - well now the big news is all about the "Paradise Papers." This is a major data leak of millions of files from "Bermudan law firm Appleby, a 119-year-old operation favoured by the global super-rich and big corporations." (Guardian UK). That happens to include Michael Ashcroft, who, according to the Guardian UK, quote, "faces fresh questions over his offshore affairs after the Paradise Papers revealed a previously unknown trust sheltering his vast overseas wealth." Of course, we in Belize know all too well about the Ashcroft Alliance's various shell companies and trusts - from Waterloo, to Dunkeld, to Sunshine, to Rocky Reef.for a while there it seemed they were running out of names when they came up with the devilish duo of "E-Com" and "Pillow Talk". After months of questions about when the PUP would launch its municipal slate for the city, on Saturday night, the party hosted a rally called the Rebirth to launch that slate. It is led by Mayoral Candidate Bernard Wagner and includes Micah Goodin, Ayesha Gentle, Dr. Candice Pitts, Deltrhude Hylton, Ryan Eligio, Oscar Arnold, Allan Pollar, Javier Castellanos, Michael Chips Norales, and Albert Vuaghan. The slate was endorsed and has started to campaign. A group called Peace Revolution is in Belize to offer instruction in meditation as a means of generating inner peacefulness and community peace. We spoke to the coordinator for Central America and the Caribbean today Tomorrow, they will be taking that message to the juvenile detention center and the female ward of the prison. 24 year-old Reese Fitzgibbon, a resident of Supal Street, is at the Belize Central Prison tonight after he was accused of being in possession of a loaded 9mm pistol. Police say that on Friday, November 3, at around 8:10 a.m., they were on motorcycle patrol on Kut Avenue, when they heard the sound of gunshots. They immediately responded and saw 2 men running from behind a house. One of them was allegedly in possession what appeared to be a firearm, and so the cops chased him down. When they caught up to the man, who was later identified as Fitzgibbon, they seized the weapon, which was determined to be a 9mm Smith and Wesson pistol, which had 5 live rounds of ammunition in its magazine. Kareem Says P.M. Should Pay for B.T.L. Cordel: Civic is for Belize City, Not U.D.P. The People’s United Party northern caucus held a meeting in Trinidad Village in the Orange Walk South constituency on Saturday November 4th to discuss a number of important matters affecting the sugar industry, which is the lifeblood of our northern communities. The leaders in the eight constituencies agreed to support three key resolutions which they believe will serve the best interest of the industry and in particular the cane farmers. Today we spoke to Orange Walk South area representative and Deputy Leader in the PUP Hon. Jose Abelardo Mai to learn more. A man from San Narciso Village reportedly drowned while fishing in the Sapote Area of the Rio Hondo River over the weekend. 45 year old Teodoro Pena, a Belizean mason from Louisville Village, reported that on Saturday October 4th, he and his friend 38 year old Israel Novelo went fishing in the river when the canoe they were on capsized. Pena reported that he was able to swim to the river bank but his friend Novel did not resurface. While Corozal Police are investigating and seeking the identity of this morning’s robber, they are also closely evaluating the video footage to verify if two men seen in the images were accomplices or just bystanders. Once the vehicle was parked, the two men seen at the top of the footage are seen walking slowly and suspiciously across the street on 4th Avenue. One of them seems to be talking into a phone, while the other follows him. But as the robbery takes place, they turn into 2nd Street South, and seem to ignore the victim’s call for help. Instead, they also dash away in the direction of the robber. Is BELTRAIDE the Antidote for Unemployment? If you are looking for delicious international tapas and an evening of fine dining and wines, all while surrounded by eclectic of art, then Casa Picasso is just the place. Located on Stingray Street, south of San Pedro Town, Casa Picasso offers delightful cuisine and an extensive wine list, which patrons were more than happy to enjoy at their annual open house on Wednesday, November 1st. The event started at 6:30PM, with Casa Picasso’s new owners Donna Chamblee and Gary Zwierzynski welcoming guests to enjoy a fabulous evening of great company, food and drinks. Complimentary hors d’oeuvres were available, while a cash bar offered wines and signature cocktails like refreshing Mango Daiquiri and Ginger Peach Margarita. Each day, we as we drive into town, we exclaim HOLY MOLY at the HUGE “palapa palace” that is now being finished less than a mile north of the bridge on Ambergris Caye. As the final touches are being completed – varnish, kitchen equipment, doors being hung – here is a look at San Pedro’s newest sports bar – the fresh and shiny new home to 10 or more giant flat screen tvs to over 200 VERY comfortable bar seats, to a lounge area, 2 huge bars, a sunset view and more… Or as I will be calling it – Ivan’s Cool Spot. *** If you have visited Ambergris Caye, there is a good chance you know Ivan. He worked for years at the uber-popular Palapa Bar. Later this week, his new venture Crocs Sunset Bar opens on the lagoon side just north of town and it looks FANTASTIC and 2. he is a great guy. A bartender now manager that may make this your new favorite spot. Especially if you LOVE sports. Or nice views. Or good sunsets. Or seating for 215! Fast-expanding Canadian carrier WestJet has added its newest route to the Caribbean. WestJet has officially launched a new route between Calgary and Belize, following up on the launch of flights between Toronto Pearson International Airport and Belize City in October of 2016. The Calgary-Belize flights are operating three times each week, with service on Wednesdays, Fridays and Saturdays, according to the carrier’s Web site. 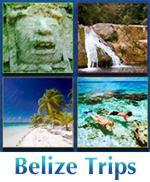 As reported in Caribbean Journal, Belize’s tourism arrivals have been surging in the last two years. Woodstonian Jason Poole travelled to Maya Centre, Belize as part of a physical education course through Nova Scotia’s St. Francis Xavier University. The course was designed to broaden educators knowledge and add to their experience to better their own teaching skills. The car ride was tight, the air was sticky but the company was anything but foreign. I remember the smell of fresh tar as we slowly ploughed along past the construction zones in nearby towns. Burning piles of rubbish lay scattered not far from the countless bus stops which seemed anything but maintained. Long pants and collared shirts. Cowboy hats and toothless, soulful grins upon the faces of everyone we passed. Covered in a rich tan, a rich layer of sweat and a rich amount of insect bites, we were heading home after two weeks in the Jungles of Belize’s south coast. The founding owners of The Lodge at Chaa Creek were recently honoured with a Lifetime Achievement Award by the Belize Tourism Board in recognition of their decades of service to Belize’s travel industry. And, according to the popular eco-resort’s public relations and events manager, Mick and Lucy Fleming’s decades of service extend well beyond tourism and Belize. “Mick and Lucy spread their Green philosophy throughout the region by proving that being environmentally friendly and supporting local communities can go hand-in-hand with business success, and there’s no doubt that their ethical, green development has been a model for other businesses in the region. 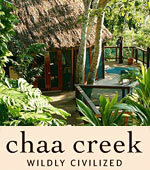 “Ever since they opened Chaa Creek in 1981 they’ve proven that you can offer a w ide range of accommodations, amenities and activities in ways that actually benefit the environment and local communities, and that a high degree of luxury, impeccable service and exquisite dining can go hand in hand with sustainable tourism. That’s a legacy that all of us at Chaa Creek are proud to be associated with,” Denise Duran said. The overriding imperative is to end the secrecy. Everything flows from that. International taxation is a complex subject. And a degree of this complexity is unavoidable. Some individuals work in one country but receive an income from financial assets held in another. Likewise, some multinational companies generate revenues in some states based on investments made or ideas developed elsewhere. The question of where such incomes should be taxed is not technically straightforward, nor morally black and white. Yet complexity is only justified up to a point. Most of the complexity that attaches to international tax is not inevitable but deliberately manufactured by law firms, accountants, asset managers and banks to create a convenient smokescreen for their clients. The Belize Police Department - Community Policing Strategies, 23min. A conversation of the recently passed amendment to the Misuse of Drugs Act., 40min. The Rotary Club of San Ignacio Moonlit Masquerade Ball Fundraiser, 20min. The Belize Police Department explained that there is a National Missing Persons Policy, 31min. The 4th Mexico-CARICOM Summit, 40min. TIA&TW - Caribbean Nation Roundtable, Part I', 26min. This week Dennis Wholey begins the first half of a two part roundtable program devoted to the Caribbean region and the Caribbean Community known as CARICOM. The roundtable includes Ambassador retired Brigadier General Anthony Phillips-Spencer of Trinidad and Tobago, Ambassador Sir Ronald Sanders of Antigua and Barbuda as well as Ambassador Daniel Gutierez of Belize. The conversation explores the recent natural disasters that have impacted the Caribbean, the value of unity in the region and the entire region's importance to the United States. Belize's Ambassador H.E. Daniel Gutierez was featured along with Ambassador retired Brigadier General Anthony Phillips-Spencer of Trinidad and Tobago and Ambassador Sir Ronald Sanders of Antigua and Barbuda on 'This is America & the World' with Dennis Wholey for Part One of a Caribbean Nation Roundtable. The Roundtable program was devoted to the Caribbean region and the Caribbean Community (CARICOM).The conversation explores the recent natural disasters that have impacted the Caribbean, the value of unity in the region and the entire region's importance to the United States. Police Department Launches Operation ACT, 5min. On Friday, October 27th, the Belize Police Department launched a special anti-crime operation to address the growing climate of fear and crime in Belize City. National Fire Service Preps for Promotional Training, 6min. As the Belize National Fire Service is gearing up for their promotional training, they welcomed the media to spend some time with their firefighters. Belize Now was present as well and we prepared this report on what we learnt. Government of Belize launches the Belize Electronic License and Permit System (BELAPS), 6min. The Government of Belize, through its Central Information Technology Office (CITO) marked another major milestone in its journey to e-governance. Our Belize Now team was on hand for the launch on Thursday, November 2nd. The BELAPS Project is valued at US$1.8 M of which the Taiwanese Government provided US$1.5 M. The ICT partnership will continue through the Motor Vehicle Registration and License System Project. Attorney General donates law books to the Belize Central Prison, 6min. On Wednesday, November 1st, the Attorney General, Hon. Michael Peyrefitte donated a set of updated law books valued over $5000 to the Belize Central Prison. Celebrating Panama’s independence at UB, 30min. Saint John Neumann 2017 Belize Trip, 8min. St. John Neumann's wonderful mission trip to Punta Gorda, Belize. We performed home improvement projects, delivered meals on wheels, played bingo with the elderly and delivered much needed school supplies. The Waters Of Belize, 2min. 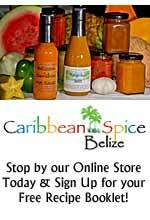 Belize is a beautiful place and I encourage anyone with a few days of vacation time, to give it a consideration. It is a short flight from the USA and the cost of living is affordable. 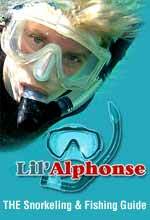 Not to mention it is home too some of the best snorkeling/diving in the world! Coral Caye Private Island, Belize, 1min. Sheltered behind the world famous Belize Barrier Reef, Coral Caye is a completely private island that can be yours alone for a romantic, restorative or adventurous get away. You and your lucky travel companions will feel like you are castaways with all the comforts needed to leave all of your cares behind. NIM LI PUNIT, Belize, 10min. Nim Li Punit, is a smaller city that was used for ceremonies and celebrations, alliances, and likely weddings. It is up on a mountain ridge giving good defenses from invaders .. its much easier to fight down hill so being high on a mountain makes more sense ..plus the view allows them to see a long way .. When we were there you could see what we thought was Honduras. The wind jewel was discovered here in a small tomb. It was a major find. 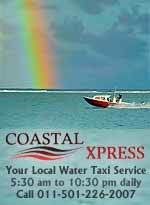 Belize City Taxi Ride From Belize City to Belize Zoo, 3min. MURDER IN ORANGE WALK…A MEMBER OF THE INDIAN COMMUNITY IS SHOT DURING ARMED ROBBERY, 6min. Orange Walk Police are tonight on the hunt for two men who are wanted for the murder of a member of the Indian community. On Friday Night 37 year old Amit Moryani was gunned down during an armed robbery and died shortly after while reviving treatment at the Northern Regional Hospital. WESTERN UNION EMPLOYEE ROBBED OF OVER $11,000 IN DOWNTOWN COROZAL AND IN BROAD DAYLIGHT, 3min. A Western Union employee was robbed of over $10,000 in cash this morning as she arrived to work in the heart of downtown Corozal Town. CTV-3 News has obtained security footage of the area and from this morning, and it shows the moments leading to the robbery. Belizeans Abroad Making us Proud. GO BELIZE!!! Congratulations Raul Vanegas!! !, 5min. Interview with point guard Raul Vanegas of your Oakland BayHawks. Starting Meeting for Peace Tour in Belize, 7min. Winners of the 2017 Belize City Primary School History and Social Studies Competition, 1min. The Belize City House of Culture and Downtown Rejuvenation Project presents to you the winners of the 2017 Belize City Primary School History and Social Studies Competition, which concluded on October 27th at the Bliss Center for the Performing Arts. First place went to Darwin Robinson - Salvation Army, 2nd place to Aniq Perdomo - Ebenezer Methodist and third to Aritza Sosa of St. Joseph RC. Congratulations to all of them! Uploaded is a short Bio on each contestant.